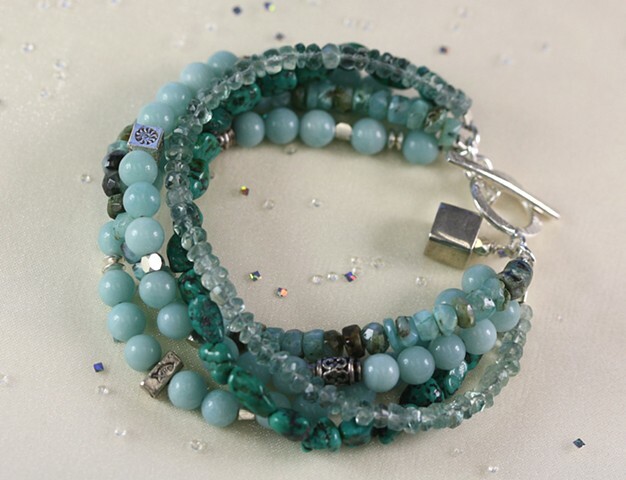 Four strands of watery blues and greens: blue flourite, amazonite, turquoise and accents of sterling silver. Sterling chain and fine silver toggle clasp. Approx. 7 3/4 or made to fit.